Laser skin resurfacing utilizes focused light rays to target the current, damaged layer of skin. The old layer is broken down using the laser in order to promote a fresh, healthier layer to grow in its place. Thanks to the initiation and increase in collagen production from this procedure, the result will produce new radiant skin. It will also produce a younger, smoother, and more even skin tone and complexion. Plastic Surgeon, Dr. Amir Moradi offers different types of laser skin resurfacing depending on the patient's needs and desired outcome. 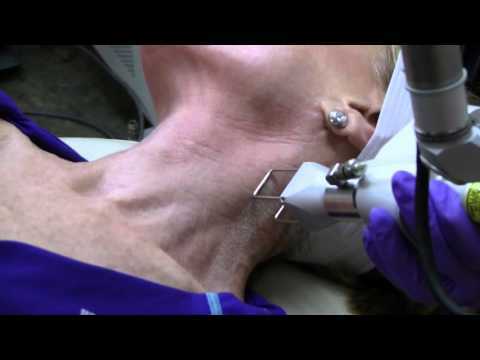 All laser treatments are performed by Dr. Moradi's Certified Physician Assistants. SmartXide Deka DOT (Dermal Optical Thermolysis) laser skin resurfacing therapy offers a new and novel approach to transform skin and enhance its overall appearance. DOT therapy can be an effective, minimally invasive way to address smaller cosmetic issues, such as fine lines, wrinkles, and acne scarring, as it is used to target concentrated areas of the skin. Moradi MD offers this alternative to both men and women who are seeking out laser skin resurfacing on a more minor scale. LaseMD rebuilds glowing, healthy skin through gentle but effective non-ablative fractionated treatments. LaseMD offers customized outcomes with no downtime for all patients. If you're suffering from skin blemishes, whether minor or more extensive, laser skin resurfacing can be an effective, minimally-invasive way to address these issues. To learn more or schedule an appointment, call Moradi MD in San Diego, CA.